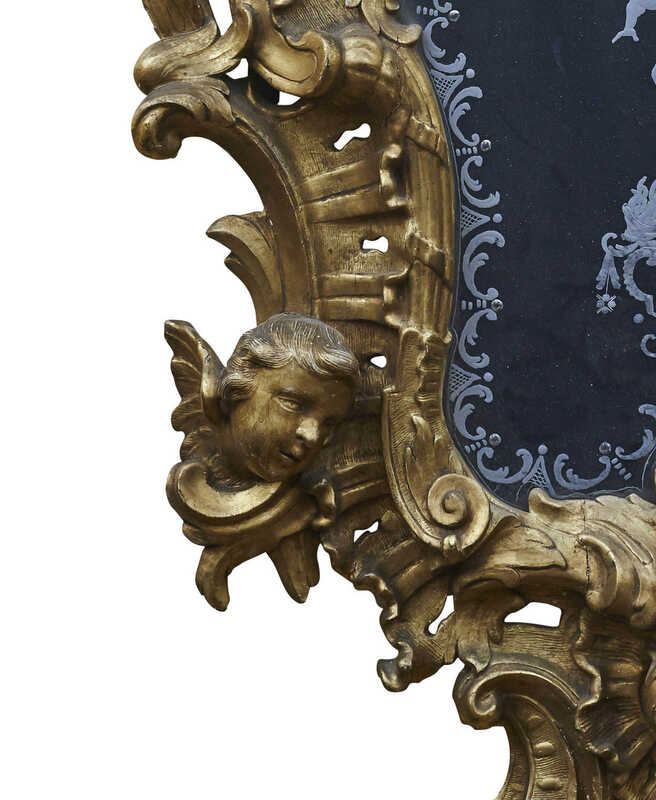 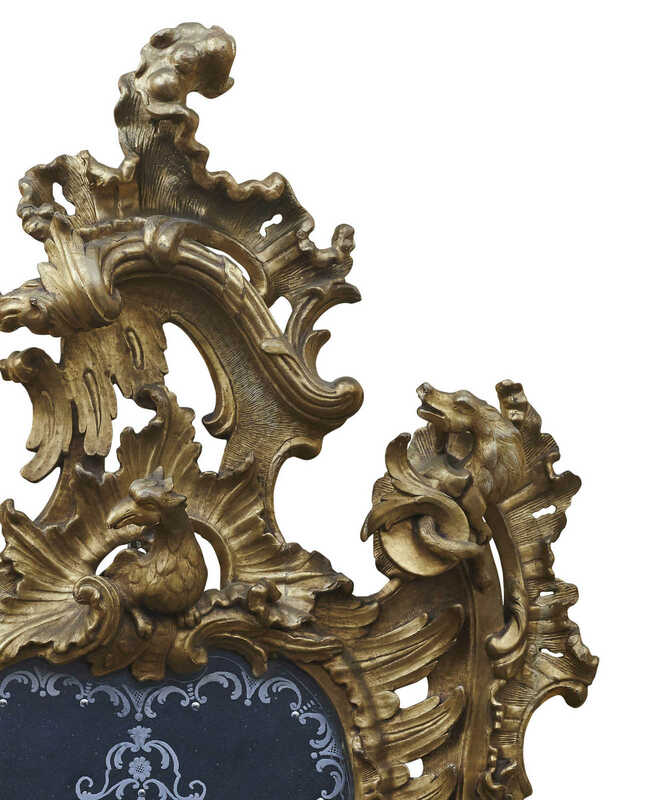 An exceptional pair of richly carved giltwood mirrors of asymmetric from. 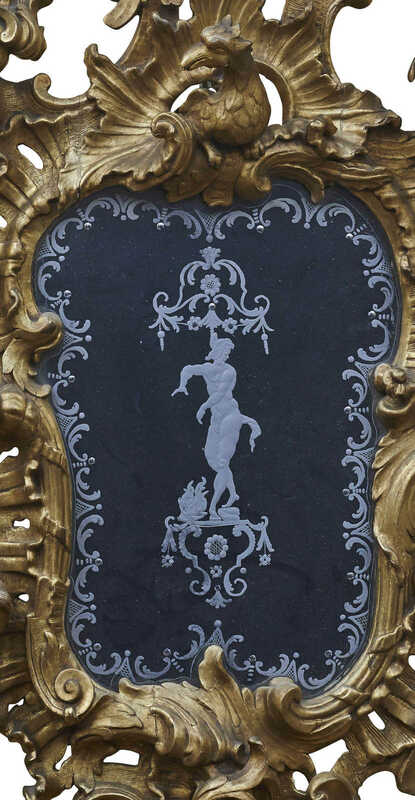 Venice, 18th century. 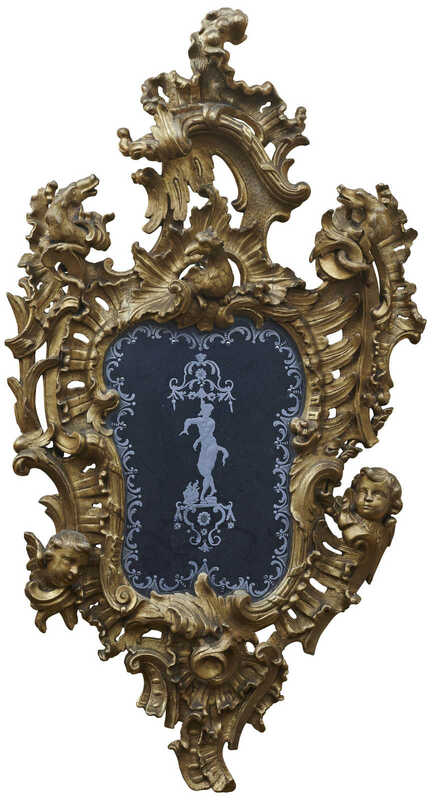 Tall scrollwork with eagles, dragons and putti. 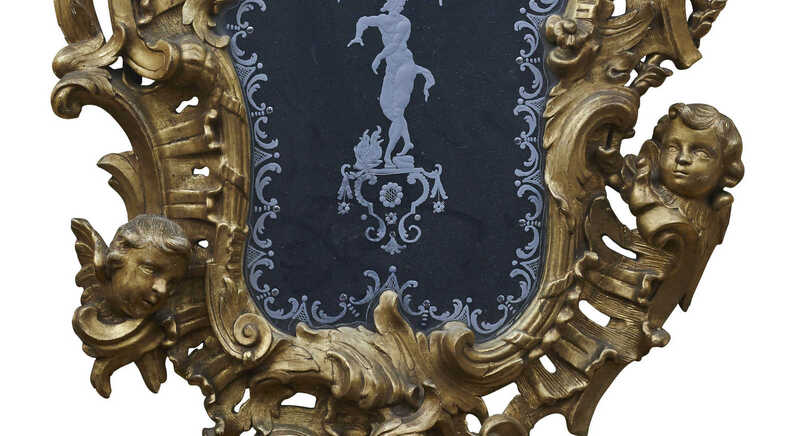 Decorated with hand etched and engraved figures and ornaments.